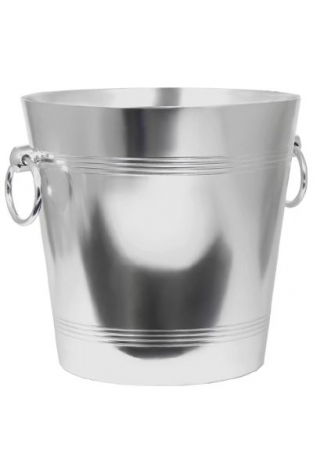 Polished aluminium wine bucket in magnum size helps to chill your fizz or still wine and looks good by the table. 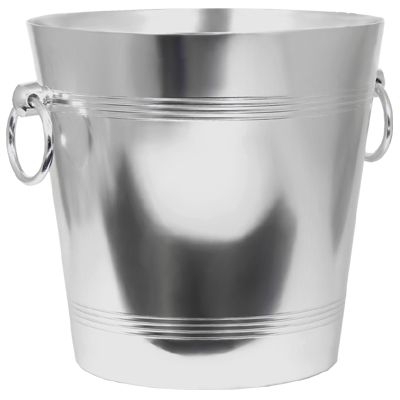 This polished aluminium wine bucket easily accommodates a magnum of sparkling or still wine and is perfect for the larger gathering or celebration dinner. Complete with two ring handles for easy carrying this is an economical yet effective way to chill down any magnum of e.g. Champagne, other sparkling wine or even two different bottles. To hasten the chilling of your wine we recommend using a mixture of cold water and ice which will make the whole process that much quicker than will ice alone.